For whatever the season in your home garden it can be a hindrance at festivities or while gardening to find a suitable storage solution. 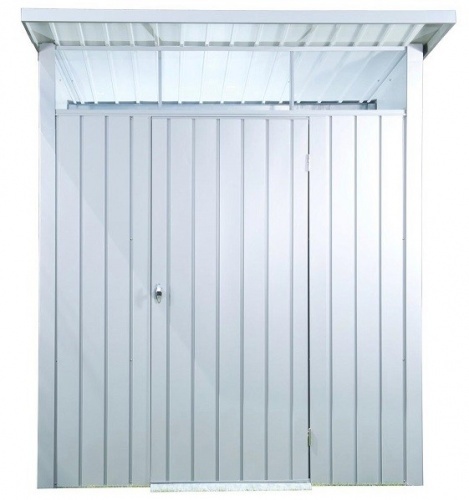 For those who require a generous storage space and a high value on the appearance of the once simple tool shed the Duramax Palladium is the ideal solution. The Palladium boasts longevity and does not look out of place in every garden. 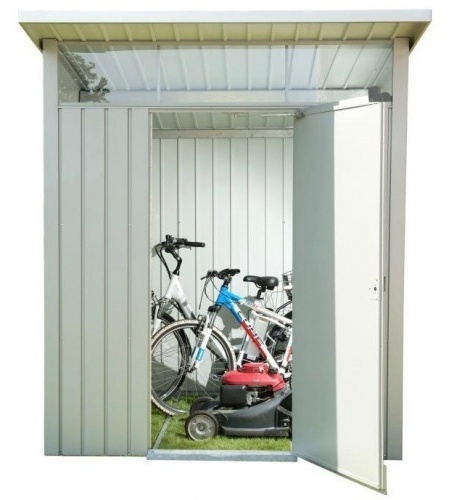 The shed has a steel, galvanized construction and coated in a timeless powder coating. The treated panels offer the constant reassurance of zero attack and this is underlined by the 20 year warranty against rust. The corrugated walls also contribute to the strength of this metal shed. 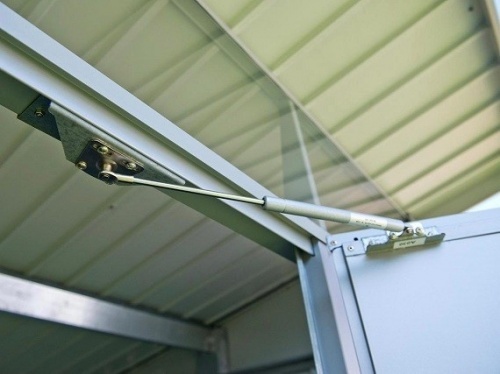 A practical gas spring facilitates the opening of the door and also keeps this door opened whilst clearing out the shed. It has lockable mechanism to protect against unauthorised access and gives the owner of this delightful shed a sense of security. What makes the Palladium special is its comfortable interior wall height of about 188 cm. Even larger people can pursue their hobby in an upright position. The unique light band that spans the entire front side of the house provides adequate daylight lighting inside the shed. The base frame and a metal substructure are also included gives the Avatar high stability. 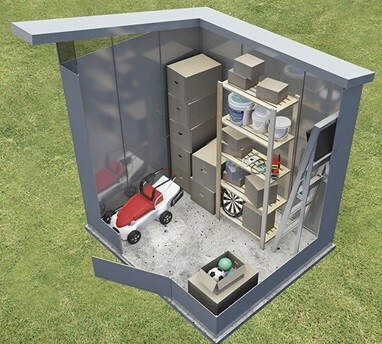 It is also possible to transport the house even after the construction of the final position. 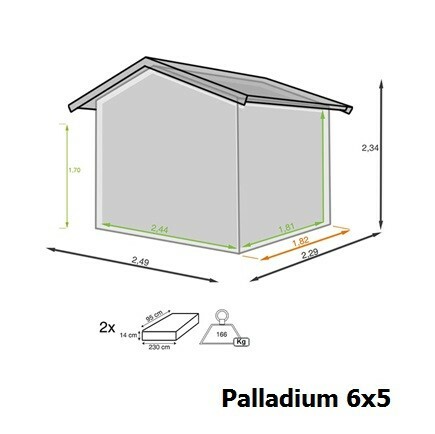 Let yourself be inspired by the garden shed Palladium -it combines “practical benefits” with an “attractive design” in a storage solution.